﻿ Mohican State Park Campground - Ohio. Find It Here. 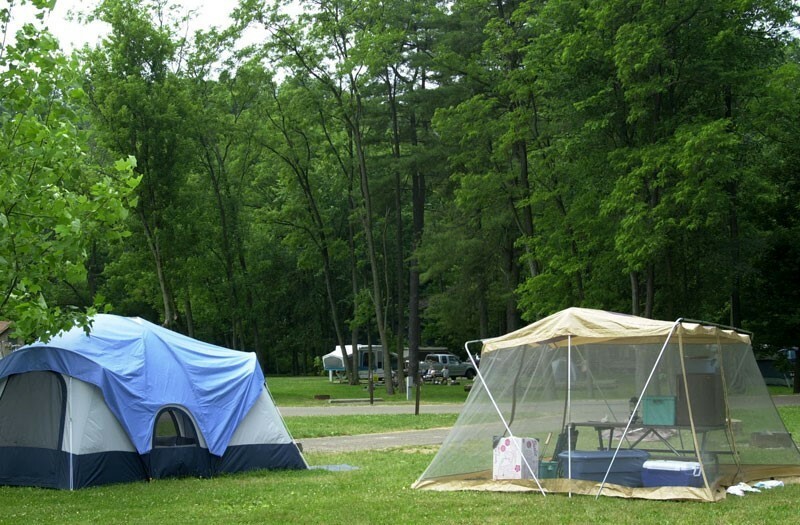 Located in northeastern Ohio, the 1,110-acre Mohican State Park offers outstanding opportunities for visitors to explore one of Ohios most stunning natural regions. Visitors can truly experience the wilderness, venturing through the hemlock forest to take in the striking views offered by the Clear Fork Gorge and fish-laden Clear Fork River. Hikers and mountain bikers can enjoy a challenge on the acclaimed 25-mile trail. Full hookup, electric, and non-electric sites. Showers, flush toilets, dump station and a campground store. Registered campers may use the pool and splash pad located in the campground.Playground, volleyball and basketball courts. Campground store loans games and sporting equipment to registered campers.Gem mining is available for a fee from the campground store.A maximum of two pets are welcome at all sites. For the safety, visitors are not permitted to drive through the campground from Memorial Day through Labor Day.